Access to shared areas of the building such as equipped kitchen, bathrooms and social alfresco area. 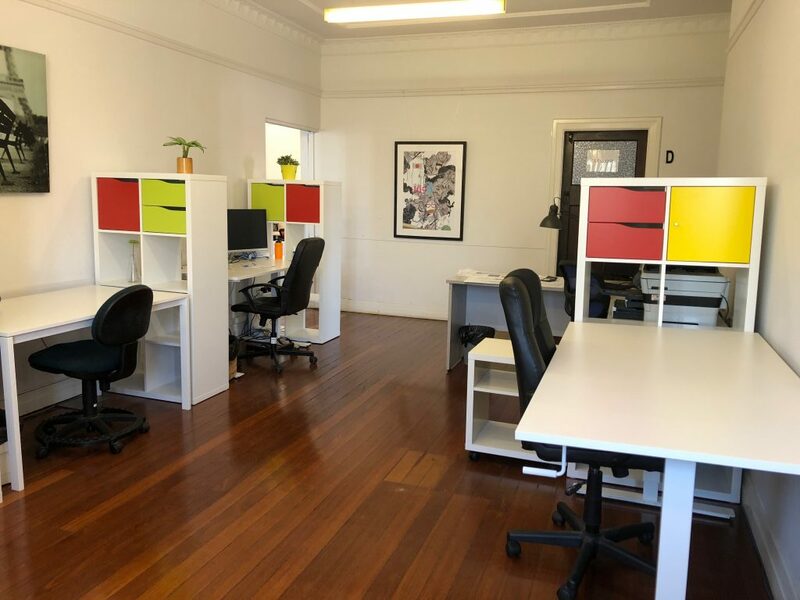 Our dedicated desks have extra desktop space, as well as extra floor space around you for a limited amount of furniture you may wish to bring in. These desks are perfect for setting up a semi-permanent office. Your exclusive desk can store your computer & office equipment.